Opposition parties accuse the BJP of sheltering cow vigilantes, saying that its support has empowered them to attack people in the name of protecting cows from being smuggled or butchered. Patna: Bihar Chief Minister Nitish Kumar today said he has had a detailed discussion with Prime Minister Narendra Modi on attacks by cow vigilantes and that the Prime Minster has stated that such attackers must be dealt with sternly. The chief minister was asked at a press conference to comment on allegations that a Muslim man shot dead in Rajasthan was killed by cow vigilantes. "I had a detailed discussion with the Prime Minister. He was of the opinion that the law should take its own course and that we should deal sternly with those elements,' Mr Kumar said. Since Nitish Kumar partnered with the BJP to form government in Bihar in September this year, at least three incidents of alleged cow vigilantism have been reported in his state. Rival parties like Lalu Yadav's RJD have alleged that Mr Kumar's alliance with the BJP has emboldened self-appointed cow protectors. Only months before Nitish Kumar joined hands with the BJP, giving up his membership of Bihar's Grand Alliance that included Lalu Yadav's party and the Congress, the chief minister had ridiculed the BJP and affiliated organisations for what he called "going overboard" in the name of cow protection. He had suggested that the cow vigilantes should first give shelter to cattle that are seen loitering on roads in BJP-ruled states like Uttar Pradesh. PM Modi has said several times that strict action must be taken against those who attack people in the name of protecting cows. In July this year, just before the monsoon session of Parliament began, the Prime Minister had asked states to act against cow vigilantes and sought the support of opposition parties in tackling "communal violence" in the name of cow protection. 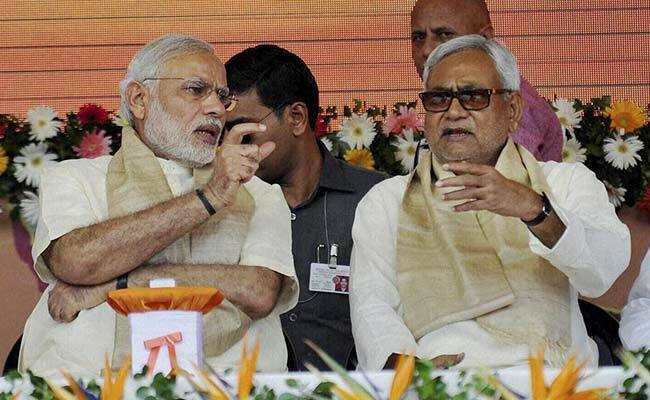 It was seen not just as a move to blunt an opposition attack during the session but also as a feeler to Nitish Kumar. The death last Friday of Ummar Khan in Rajasthan has been compared to the killing of dairy owner Pehlu Khan, who was beaten to death in the state's Alwar seven months ago. Ummar Khan's body was found with gunshot wounds on rail tracks. His family alleges that the 42-year-old was bringing home cows that he bought when he was attacked and shot dead.